The national airline is Montenegro Airlines (http://montenegroairlines.com). 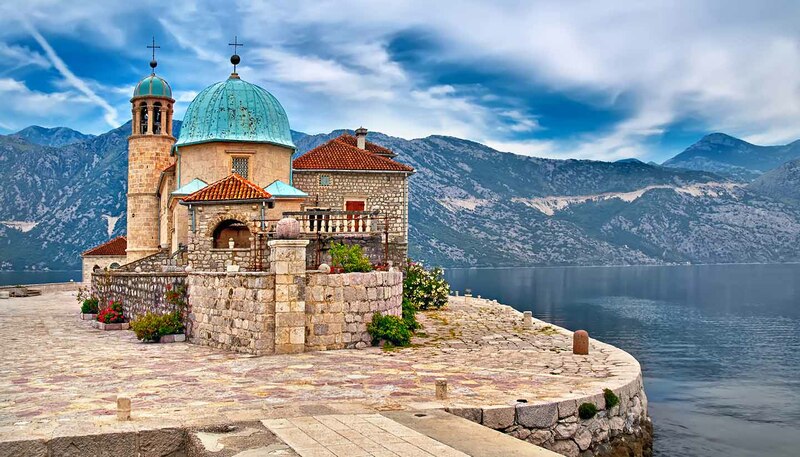 Flights to Montenegro depart from various European capitals (Belgrade, Moscow, Paris, Rome and Vienna) year-round for Podgorica Airport and Tivat Airport. In summer there are additional flights, including a direct service from London Gatwick to Tivat. Alternatively, you can fly from London to Vienna with Austrian Airlines (www.austrian.com) and catch a connecting flight to Podgorica. Prices vary dramatically depending on demand and availability. Dubrovnik, in neighbouring Croatia, is better served by flights from the UK, so many visitors choose to fly to Dubrovnik, then drive 16km (10 miles) south, over the border into Montenegro. The airport is 12km (7.5 miles) from the city. To Tivat: from London - 2 hours 40 minutes. To Podgorica: from London - 4 hours 15 minutes (including stopover); New York - 10 hours 30 minutes (including stopover). Montenegro has direct rail links with Serbia (freight and passenger) and Albania (freight only), but not with Croatia. Trains run from Belgrade, Serbia to Bar (two trains daily; journey time - 11 hours; couchettes available on the night train) via Podgorica. Timetables are available from Railway Transport of Montenegro (www.zcg-prevoz.me). The Adriatic Highway is being incorporated into the long-awaited Adriatic-Ionian motorway, which will run all the way from Croatia down into Greece. However, the building of the Belgrade - Bar motorway, passing through Podgorica and incorporating dozens of bridges and tunnels, is currently a priority for Montenegro. The main ports are in Bar (www.lukabar.me) and Kotor (www.portofkotor.co.me). Ferries link the Montenegrin Adriatic coast with Italy, operating between Bar and Bari. The ferry company Montenegro Lines (tel: +382 30 303 469; www.montenegrolines.net) runs year-round overnight ferries between Bar and Bari.